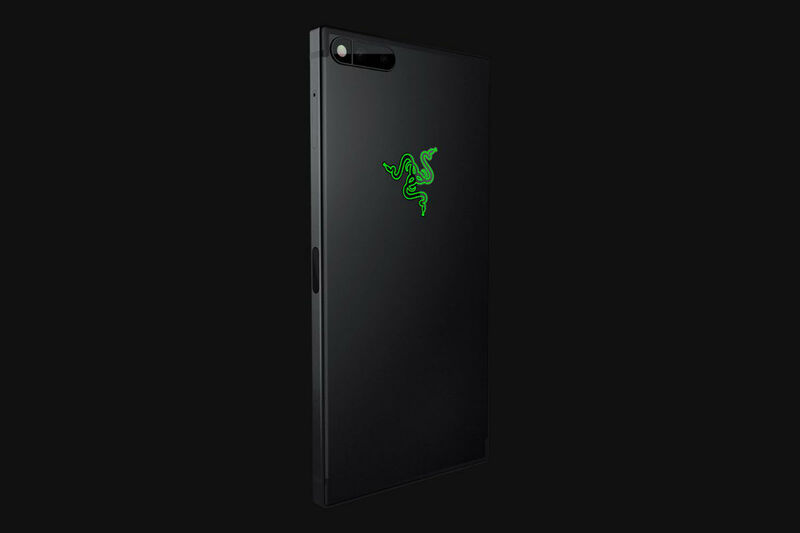 The Razer Phone is now up for purchase! To recap, the Razer Phone was built with gamers in mind, but also those who want a serious entertainment machine. It features a 5.7-inch IGZO QHD LCD display with a 120Hz refresh rate, Snapdragon 835 processor, 8GB RAM, 64GB storage (with SD slot), 4000mAh battery, DOLBY ATMOS and THX certified audio, and massive front stereo speakers. It’s got classic Razer styling and offers a refreshing take on a smartphone in a sea of samesies. The Razer Phone costs $699 and is an unlocked phone that works on GSM networks, so T-Mobile and AT&T. Sorry, Verizon gamer bros.
Last night, when the phone first went up for sale, there was apparently a special edition model available too, but that sold within minutes. Still, the phone is there if you want in on the first Razer Phone. If you were waiting for us to take a look at it, well, I have good news! We should have our review unit at some point today, so stay tuned for coverage.